It was up to the Greek contralto Marita Paparizou to remedy the situation since she proposed to the Greek National Television ERT 2 a semi staged production of a truncated “Tancredi” with her as a singer of the title role, which was co produced by Greek Radio andTelevision and Panart N.P.C. under the auspices of Tempo Forte the Italian Embassy, and Rossini 150 (Pesaro). The whole show was directed by Vassilis Anastassiou, (with evocative costumes by the very talented Ledio Konxhioli ), who opted for a spartan decor, a black stage with a golden throne in the center around which the singers stood and sung. The whole thing was static, mainly due to the very small studio stage, since there was no room for excessive movement. Marita Paparizou who is an accomplished singer specialising in the Rossinian as well as the baroque repertoire, took up the title role with bravado and sensitivity to the details of the score. She possesses a warm dark contralto voice perfectly suited to the role, as we know after all, Rossini had a soft spot for this kind of voice. Her death scene was a lesson in how to sing Rossini’s music, the voice supple and flexible followed the music of the dying breath of the hero with emotion. Rarely have I heard such pianissimo of the dying breath of Tancredi, followed by the superb playing of the Music Ensemble Orchestra of ERT . The role of Amenaide was sung by the very talented soprano Alessia Grimaldi whose voice is a true coloratura with strong top notes and great expressive power. We hope to see her one day at the Greek Notional Opera. 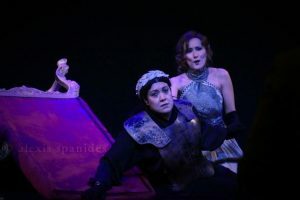 The role of Argirio was sung by the Italian tenor Nicola Pisaniello (you can read an interview with the singer here: http://www.operattika.gr/en/nicola-pisaniello-sings-tancredi-in-athens/ ), who is an accomplished singer whose voice suits the role perfectly. He has a powerful tenor voice capable of tackling a wide range of repertoire from Haydn to Verdi. His portrayal of the role was regal, and tackled the music with force and style. It was a joy to listen to him. Rosa Capon Poulimenou sung the role of Ruggiero with great musicality and feeling. Margarita Sigeniotou was a very interesting Isaura, she sung with feeling and a steady rounded voice.The surprise of the production was the Greek young bass -baritone Thodoris Kardaras who sung the role of Orbazano. He has a true bass-baritone voice powerful with metal as well as an imposing presence onstage. He was truly an asset to the production, and one hopes that he will have a great career. 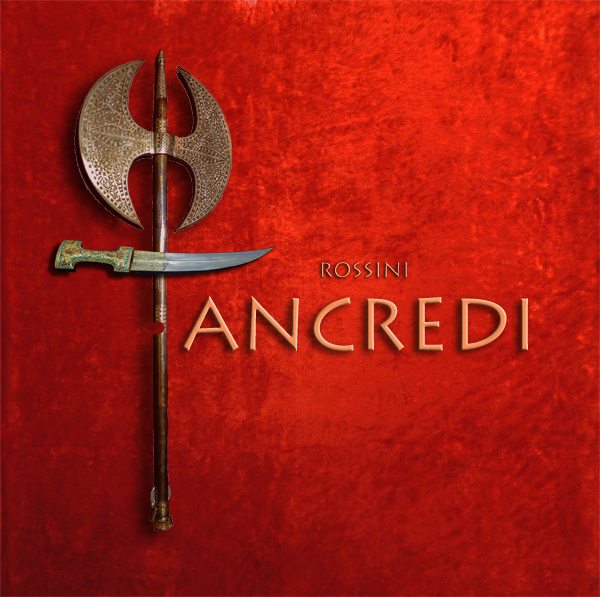 Stefano Romani conducted with fire and great feeling for the nuances and details of the score the Musical Ensemble and Chorus of the Greek Radio and Television who performed impeccably Rossini’s score. It was a very enjoyable performance which did credit to Rossini’s masterpiece and a great addition to Rossini 150 years, celebrations. Musical Ensemble and Chorus of the Greek National Radio and Television.